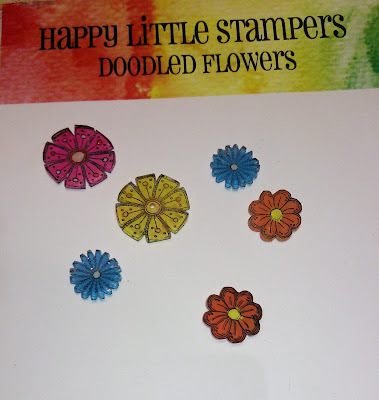 Then I made some shrink plastic flowers with the Doodled Flowers plate, and coloured them with Posca pens. I coloured them before I shrunk the plastic as I wanted the colour to be really intense. 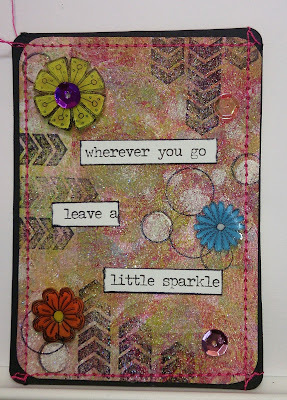 The lovely sparkle is coming from DecoArt's Glamour Dust Paint. 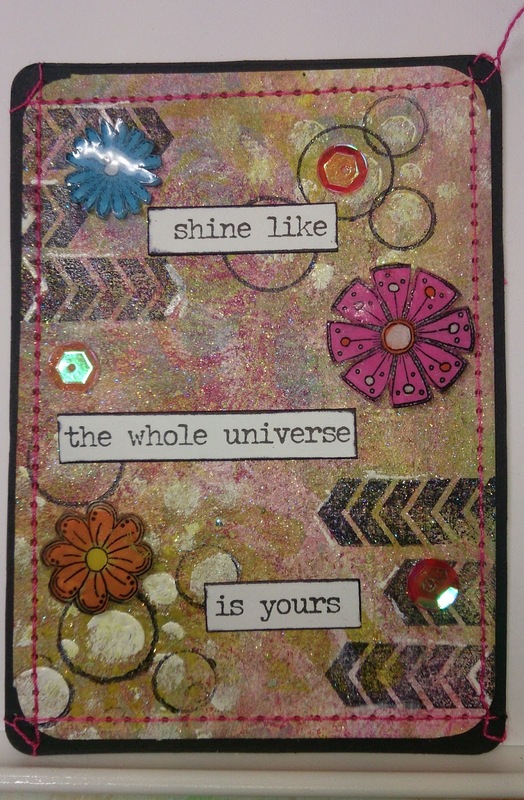 This is amazing stuff, it goes on so nicely then dries to an amazing sparkle. And the words are Tim Holtz stickers - where would we be without his pearls of wisdom? 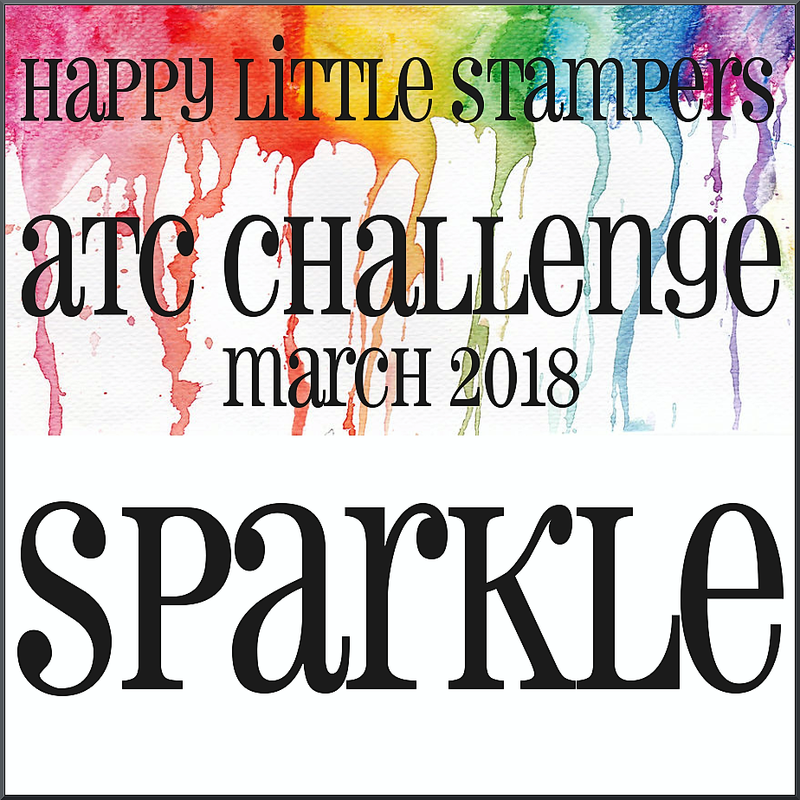 These were great fun to make, thank you so much Happy Little Stampers for having me. 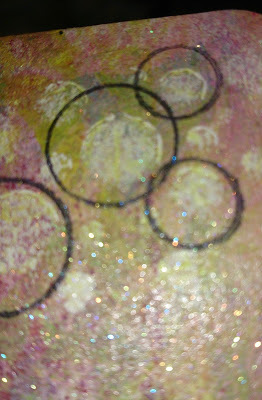 Super fun mixed media background -- these turned out great. Love this Sue, the addition of the shrink plastic looks so sweet, i'd have been worried I would have lost them they are so tiny :)) It's a cracking medium to work with. This is gorgeous Sue. 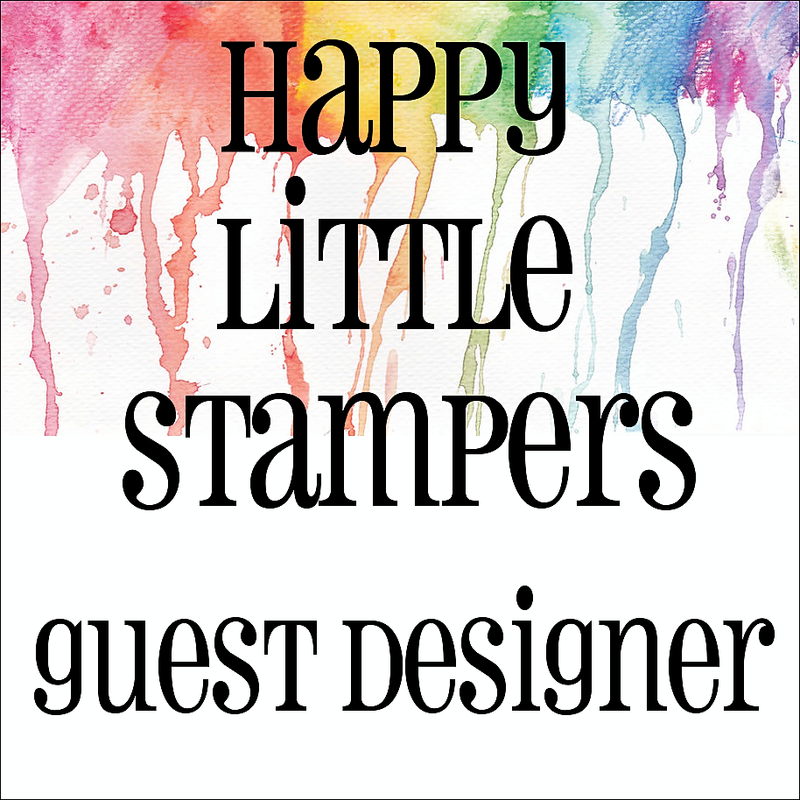 Congrats on your Guest Designer spot. 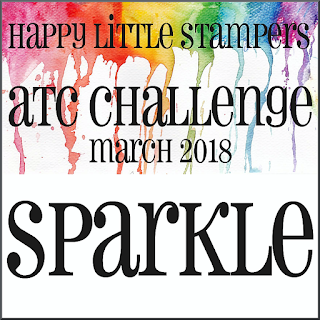 I hadn't heard of the DecoArt's Glamour Dust Paint, I will have to check it out. Gorgeous! 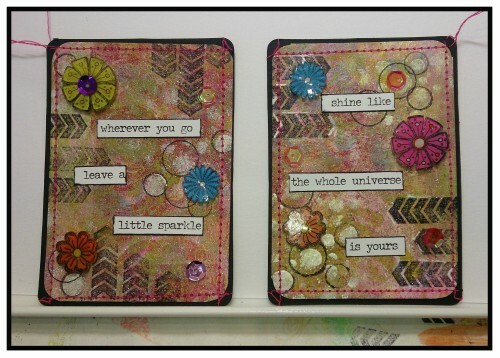 Love your pair of beauties and the added words are the perfect touch. 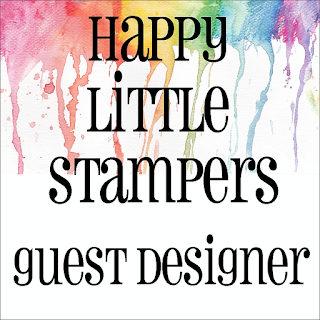 Thanks for Guest Designing with us at HLS. Your flowers in shrink plastic are really lovely!! 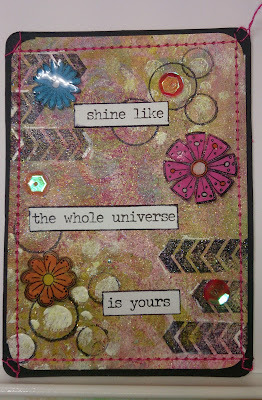 Beautiful idea, and I'm sure the shine on your ATCs make them look wonderful in the light.